We already saw the new Hyundai Verna - known as the Accent in some other parts of the world, including here in the United States - debuted at the Beijing Motor Show, but the Korean automaker had other important new tidbits to show off as well. Specifically, a direct injected version of its Lambda V6 engine, a new direct-injected 1.6-liter four and an eight-speed automatic transmission. While all three developments are notable for various reasons, we're naturally rather drawn to the new DI V6 engine, which was shown in a longitudinal arrangement. That means we can likely expect to see this updated six in rear-wheel-drive platforms first, such as the Genesis Sedan and Coupe and the new Equus luxury cruiser. It's not a stretch to imagine this mill mated up with the eight-speed auto, either. Power for the DI V6 comes out to only 296 horses, but that's likely an underrated configuration, as it's less than what the Genesis Coupe makes now. As for the 1.6-liter directed-injected four, you can count on that powerplant showing up in the next-gen Accent and possibly the Elantra as well. Power comes in at 138 ponies, which compares rather well with the 110 horsepower of the current non-direct-injected 1.6-liter four. 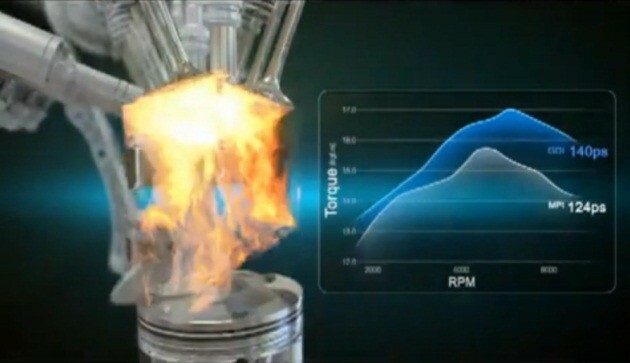 Hyundai also says the 1.6 is a likely candidate for turbocharging, so that's something else to look forward to. Click on past the break for a trio of videos showing off the new technology, if only for the stellar voiceover that we think we've heard somewhere before. If ever there was proof that just because you can, it doesn't mean you should, it's Mitsuoka Motors. Case in point - the Mitsuoka Galue Convertible, which we've finally gotten to see in person here in Beijing. Sadly, we cannot un-see it. 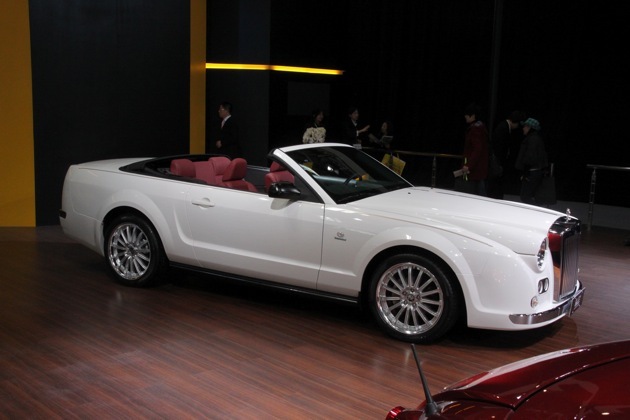 Why anyone would take a perfectly serviceable contemporary Mustang convertible and transform it into this is beyond us. Then again, this is the same company that created the Orochi. The Galue 'vert's front end apes an older Bentley while the tail is lifted straight off a late-1990s Cadillac DeVille. It's all terribly wrong in so many ways. Just be happy that we've opted to spare you the sea monster-like Orochi, which was sitting on an adjacent turntable. It was so awful that the unfortunate model standing next to it collapsed from embarrassment. Photos by Sam Abuelsamid / Copyright (C)2010 Weblogs, Inc.